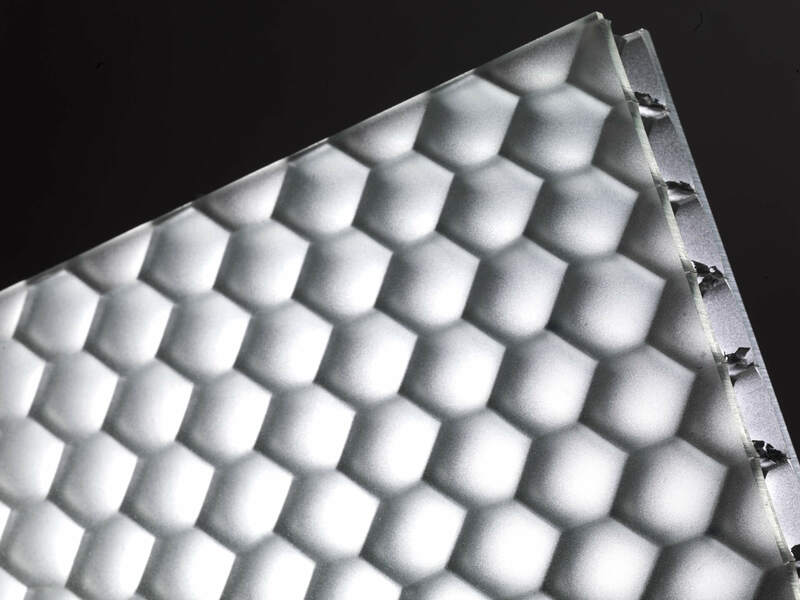 The frosted skins of Crystal Glaze are bonded to a hexagonal-shaped aluminium honeycomb core, forming translucent panels that limit the amount of light transmitted and creating a silhouette effect. Combining frosted polycarbonate, acrylic or glass skins with honeycomb core ensures privacy without compromising on natural daylight, making Crystal Glaze panels the ideal alternative to comparable glass products including partitions and screens. A matte finish can be added to one or both panel sides, offering two different levels of opacity tailored to customer specifications. Characterised by an incredibly high strength to weight ratio, Crystal Glaze panels are suitable for use in a variety of structural applications. Often specified in walkways or floors, Mykon sandblast toughened glass and apply a protective coating to the matte finish, enhancing our panel’s durability. 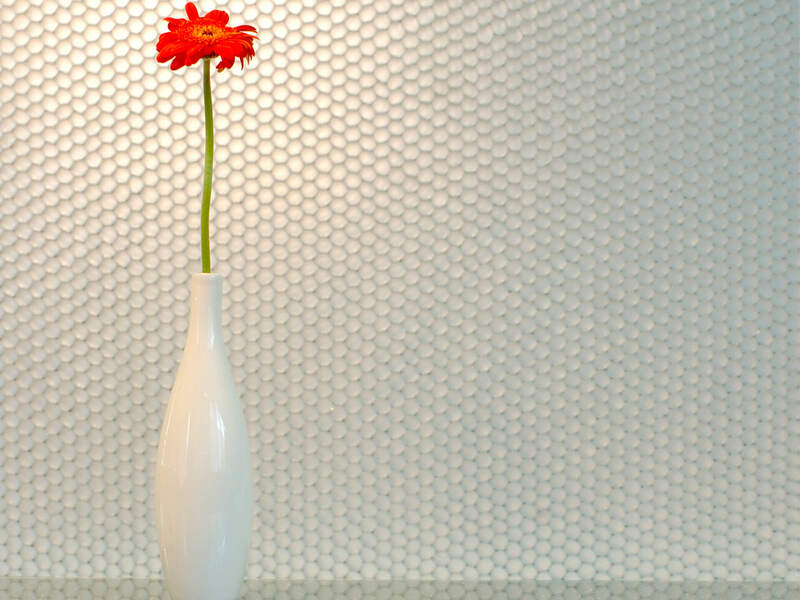 Crystal Glaze can also be used as a screen to divide a room or simply for its decorative purposes. Due to the versatility of Crystal Glaze, a number of high-profile customers have specified and utilised our panels in their projects. Crystal Glaze has formed the flooring of a spaceship in a major Hollywood film production, been used as partitions for a catwalk at London Fashion Week, and created shelving and changing facilities in several high street clothing stores. Crystal Glaze panels can be used for both structural and non-structural applications and are available in a maximum panel size of 2500mm x 1500mm. Standard thicknesses are 19mm and 27mm or 40mm overall with 6mm glass (complete with structural & fire test certificates) for structural projects. Occasionally production will recommend 50mm overall with 8mm glass for floors without certification. Exposed panel edges can be finished with a selection of standard edging material if required and environmentally friendly acrylic can be used on request. Ritec Clearshield coating on sandblasted glass to protect finish.